Over the past few years I have become more involved with the Wildlife Conservancy, special projects at the San Diego Zoo and Safari Park, and various philanthropic ventures with Dylan. Each donor event I went to, I learned more. 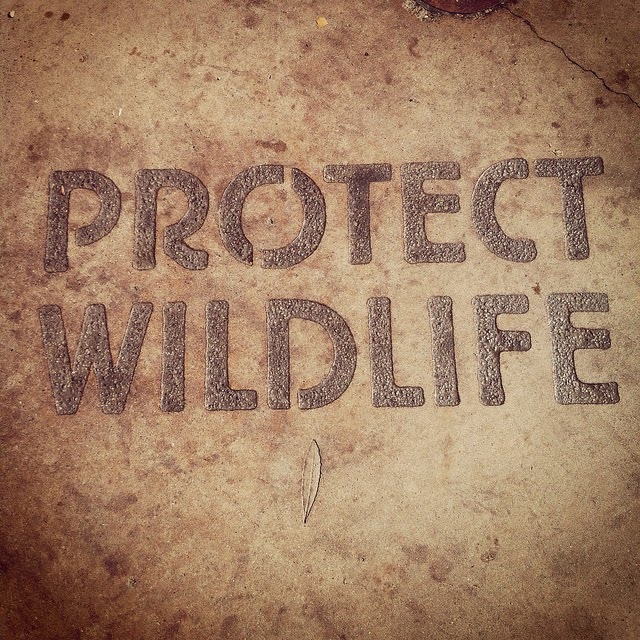 Each zookeeper I met, I learned more. 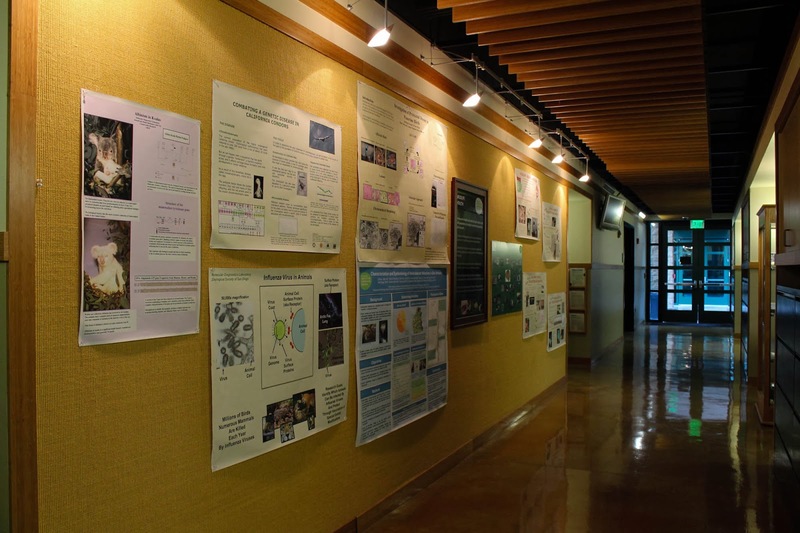 Each scientist and researcher I met, I learned more. 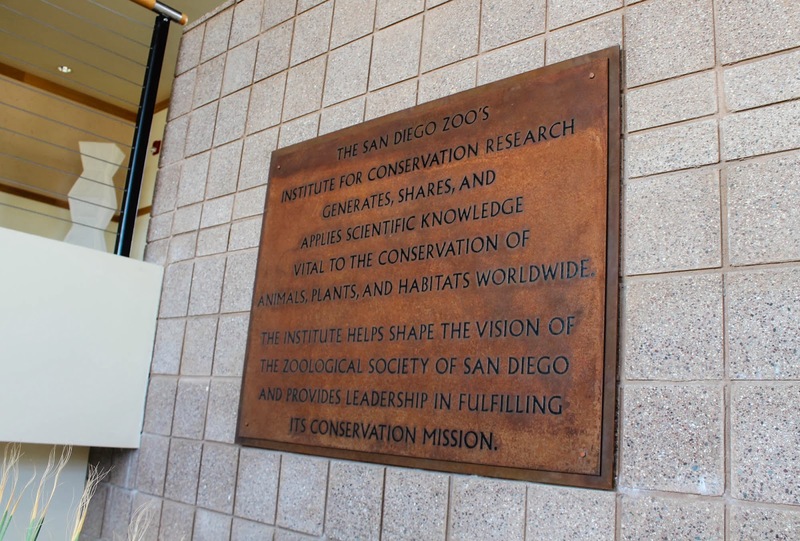 However, nothing could have prepared me for what I would learn about San Diego Zoo Global during my visit to the Beckman Center for Conservation Research. I am in awe of the diversity and amount of conservation work that makes up what is the largest zoo-based, multidisciplinary research facility in the world. 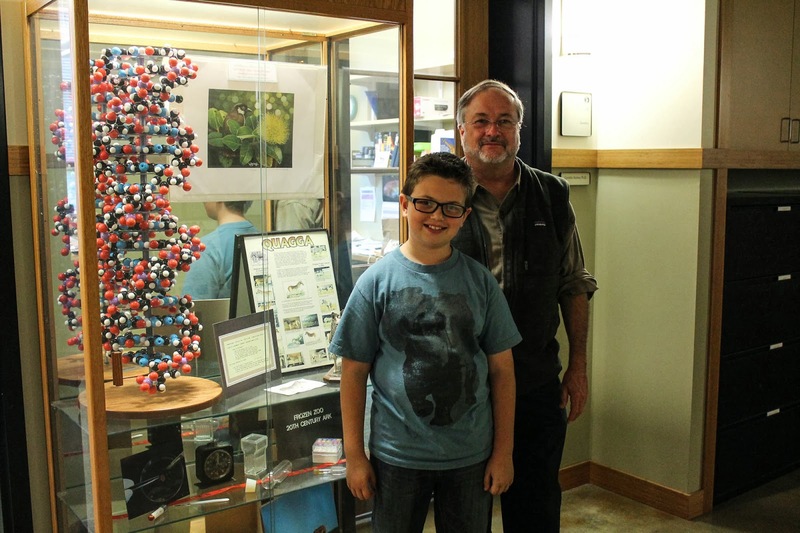 To start with, I can't even begin to explain the pride I felt when I received the phone call inviting Dylan to visit the Beckman Center for Conservation Research and meet Dr. Oliver Ryder. My child was going to meet a world-renowned scientist who had a passion similar to his about saving the Northern White Rhinos. Not only was he going to meet him, but he was going to see the Frozen Zoo we have read so much about. As we drove through the entrance gates, I could feel the excitement in both of us escalating. Just as our itinerary had said, there was an orange cone reserving a parking spot right in front for the Fryer Family. Was this really happening? I felt anxious walking through the double glass doors, yet at the same time I felt right at home. Like this is where I was suppose to be. We were met by Maggie, who would be our guide for the afternoon, and after formal introductions we were on our way. The nerves had settled and I just tried to take it all in. Everything around me was inspiring. 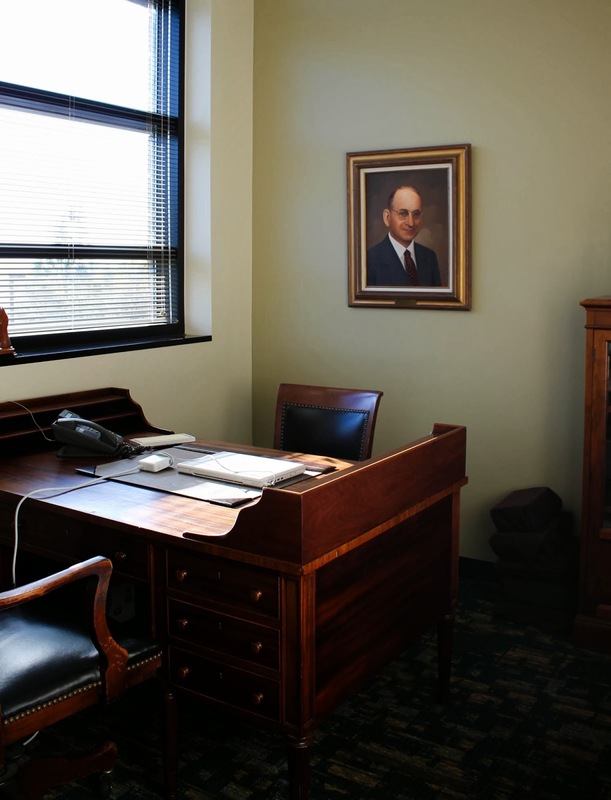 From the signs in the window listing Dr. Beckman's Seven Rules for Success to the bronze plaque depicting the mission statement of the Institute, to the polished concrete floors. 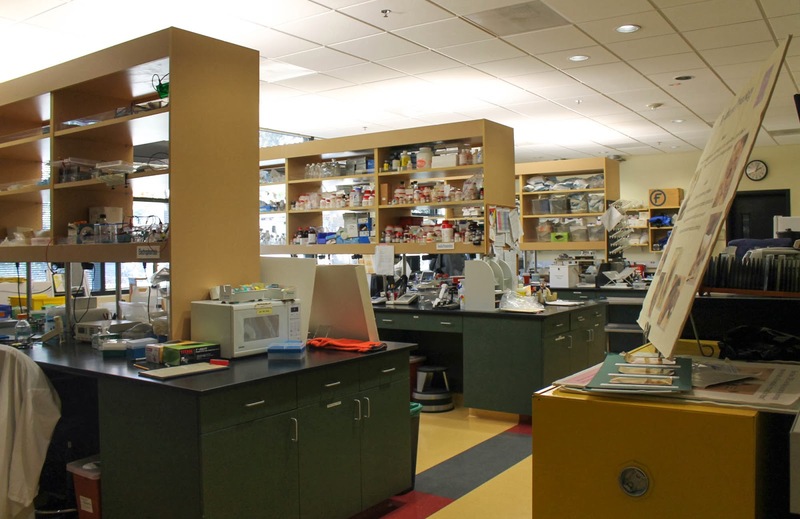 Lights were turned off in the labs to conserve energy, but it was hardly noticeable with all of the natural daylight coming through the windows. Renewable resources like bamboo are found throughout the building on railings, ceiling arches, and benches. Talk about being "green" ... this was a "green girls" heaven on earth. Watching Dylan meet Dr. Ryder was something I will never forget. He went into starstruck mode for about the first 10 minutes and then I noticed something familiar. Dylan's tone of voice changed. He was in his element. He was carrying on conversations with Dr. Ryder just like he does with Rick Schwartz. All I could do was sit back and watch with great pride. Something that I found really interesting is that they keep a handwritten log of all specimens brought in. Those leather-bound books you see on the shelves are all logs. Dr. Ryder asked Dylan when his birthday was to see what specimens they collected the day he was born, but nothing showed up. Strange right? Well, not if you were born on a Sunday. So we looked at the following day and saw Thomson's Gazelle. These books even dated back to my birthday! The Frozen Zoo was just incredible. They have DNA from plants and animals all over the world - Over 10,000 irreplaceable samples, which represent over 1,200 species and subspecies. 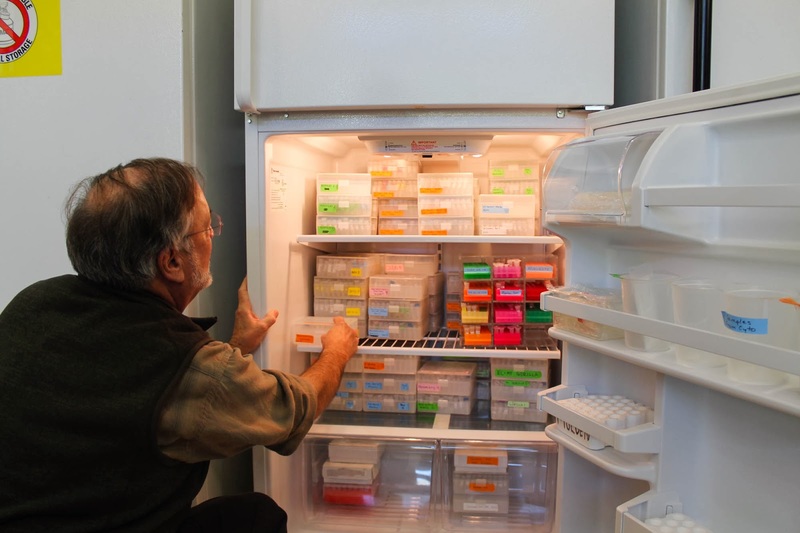 Talk about an extensive collection ... just look inside this fridge! There are vials containing DNA from every California Condor ever hatched at the San Diego Zoo Safari Park and of course the Northern White Rhinos - all 7 of the remaining species, plus the DNA of those that have passed away. So much can be learned from DNA. Science truly is amazing and an integral part of saving endangered species. After visiting the Frozen Zoo and the Genetics Lab, we went into Dr. Ryder's office where we sat talking about his work with the Northern White Rhinos. You know, no big deal. Just two ordinary people talking with a world-renowned scientist. Somebody pinch me. We thanked Dr. Ryder for his time and continued touring the building. So much to take in. I had to keep reminding myself to take pictures. Of course, after the fact, I realized I should have taken some video clips. 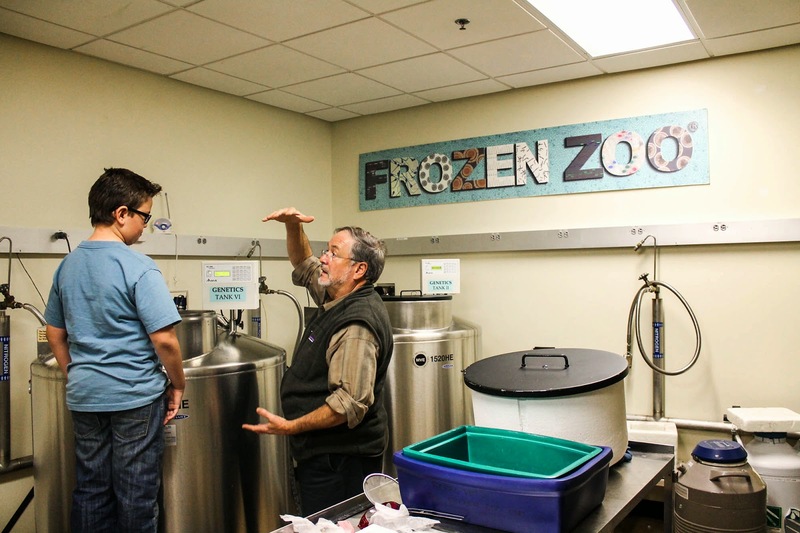 The Beckman Center for Conservation Research is nearly 50,000 square feet and includes specialty labs and equipment that enable the scientists to continue critical conservation research on behalf of endangered species and habitats worldwide. 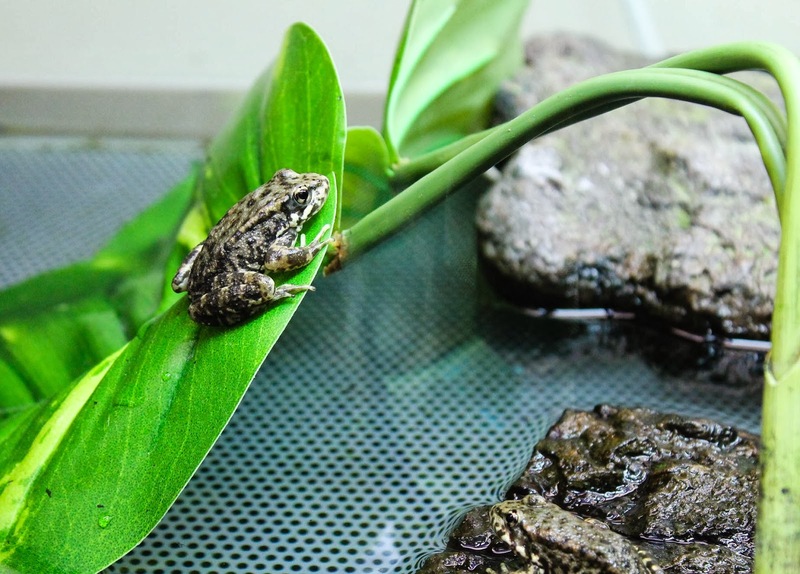 The mountain yellow-legged frog was nearly wiped out by the chytrid fungus; but thanks to the hard work and research of these scientists, 465 captive-born mountain yellow-legged frogs were released into the wild in Southern California. Now that is what I call a conservation success story! Although the labs were inspiring, my favorite stop was in the library. Not just for the extensive collection of books, or because Dylan was invited to come back anytime he needed to do research, but because of something I saw in a small room. The original desk of Dr. Harry Wegeforth, Founder of the San Diego Zoo. This is where it all started. One man's dream to start a zoo in San Diego - I believe Harry would be proud of what his zoo has become. While this may seem trite to you, it was a very emotional moment for me. The first half of our tour was now over and it was time to head out to the Safari Park on a cart to look for the elusive Northern White Rhino, Nola. She is old and one of the last seven remaining in the world of her species. We spent over an hour driving around the field exhibits and had so many wonderful encounters. It was getting cold and dark. The park was closing and still no Nola. Then, far across the field, we spotted her. Isn't she beautiful? 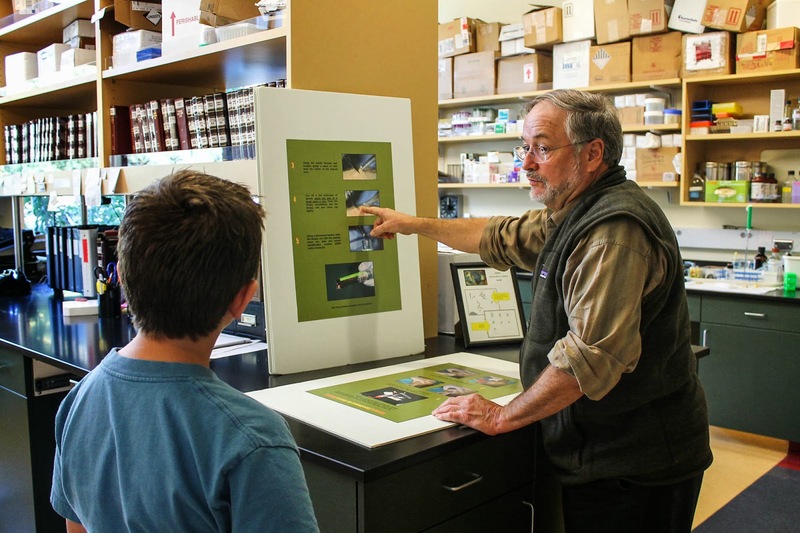 I still can't even wrap my head around everything that goes on at the Beckman Center for Conservation Research. Nor can I even begin to thank those involved with our visit that day. Words just can't express how wonderful this experience was for both myself and Dylan. One thing I am sure of though is the next time someone says to me, "You're going to the zoo again?" 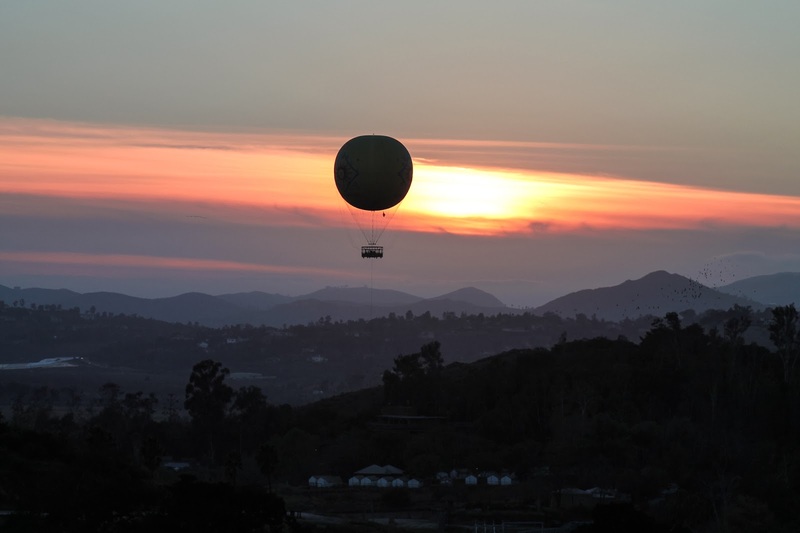 I will simply reply with, "The San Diego Zoo is so much more than just a zoo!" To see more pictures of the labs, Frozen Zoo, and animals we encountered, you can view the Dr. Ryder and the Frozen Zoo Flickr album. In case you missed Dylan's story, you can read it here. Such a wonderful experience! Thanks for the tour. Dr. Ryder must be a very special person with everything he has done and continues to do for wildlife conservation. Were you picturing future Dylan with a beard? 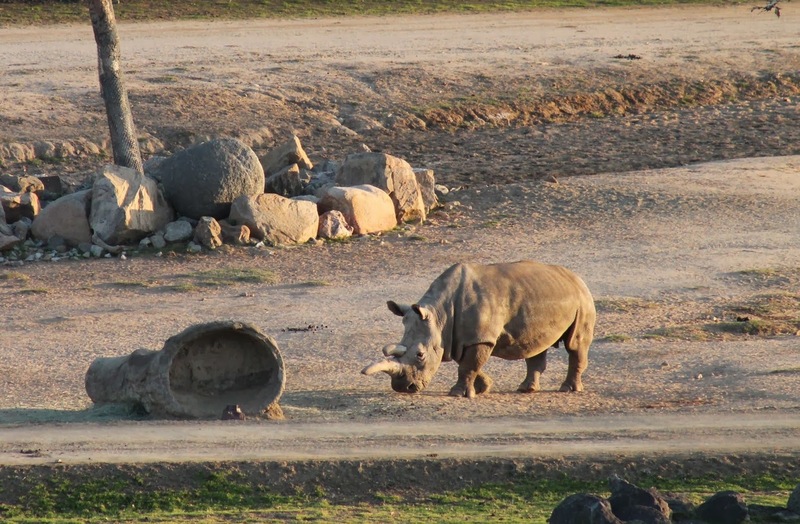 Must have been kind of eerie and sad seeing those vials of DNA from the remaining Northern White Rhinos. So cool you got to see Nola! I once attended a lecture at our Natural History Museum on mountain yellow-legged frogs and their reintroduction into the wild. I wonder if the two agencies worked together on this. This was a great story, Michelle. Thanks for posting it and showing the rest of us what it looks like inside those hallowed halls. Oh, and what specimen did they collect on your birthday?